Hi everyone–I’m Steph and my blog is Crafting in the Rain. I’m pretty excited to be here taking a spot on Jen’s blog for the day. I love the month of November! It means Thanksgiving, and my birthday, and fall, and getting ready for Christmas. I really like starting Christmas projects now so that they’re ready to display and enjoy for all of December. 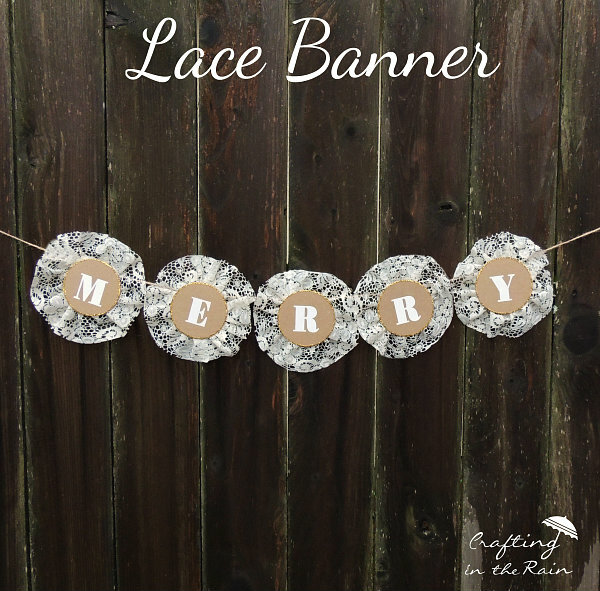 So today we’re making this pretty Lace Merry Banner for Christmas! If you want to glitter the edges of the circles, spread a bit of liquid glue and roll in glitter. Let dry. 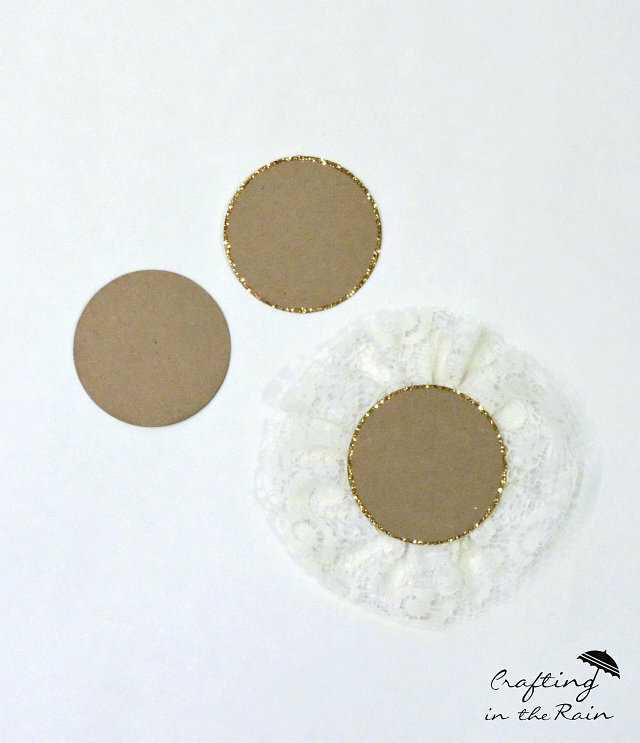 Glue lace to the back edge of each chipboard circle, pinching to ruffle as you go. Be careful of the hot glue! Attach to twine with more hot glue. Finally add letters. Some good 5-letter words for Christmas are Merry, Peace, Jolly or Cheer. Or of course add more circles and spell any word you want! Have you made anything with lace lately? Tell us about it! Thanks Steph! 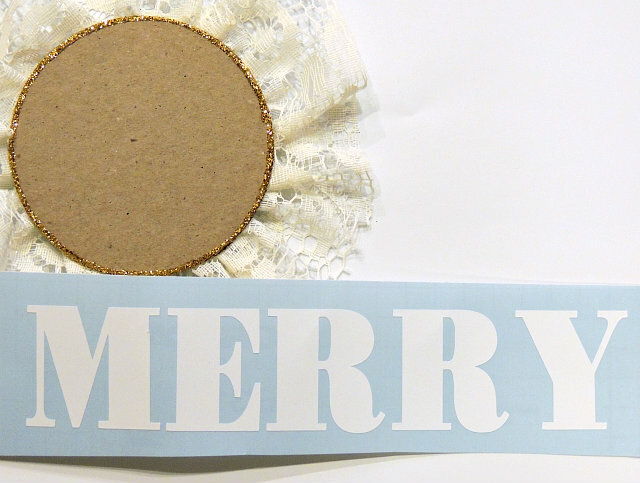 What a cute idea for a holiday banner. I love the lace. It’s perfect! Her Pixie Dust Ornament is super cute. I can see a lot of kids wanting to help make this one! She also has an awesome round up of 20 Cone Christmas Trees you could check out! And her Winter Treat Boxes are so pretty! They would be so fun to use for giving treats for the holidays! This would be perfect in winter wonderland themed decor. Since our device provides gems solely, you should use these gems to purchase gold and elixir. What a GREAT and adorable craft! I could see getting the kids in on this, too – helping with gluing and whatnot. I love this! Thanks Dee! I should definitely let my kids do their own version, even if they just want to add their own stickers! I pretty much love all things lace! This would be perfect in winter wonderland themed decor. Cori recently posted…Bloomin’ Quilt-As-You-Go Tote Bag + Giveaway! 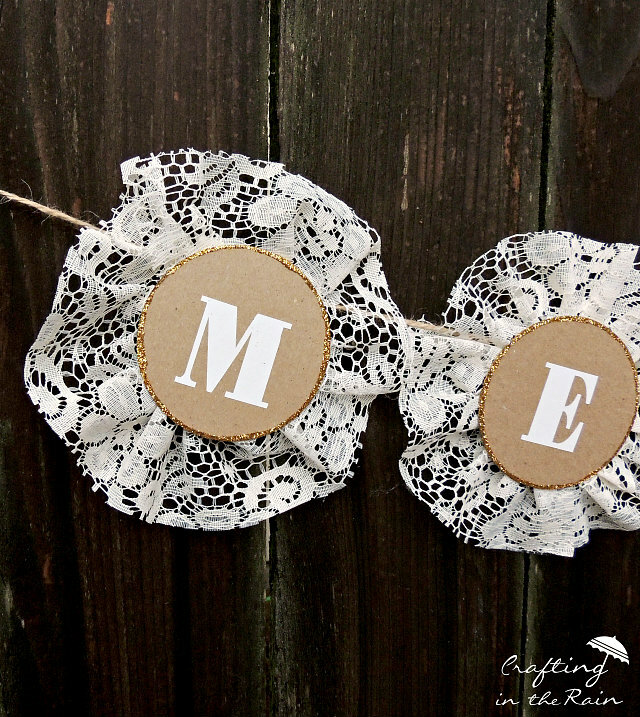 What a great idea to incorporate lace and chipboard! I’m really enjoying the Merry banner! This is so pretty! I think I need to find more ways to use lace in my holiday decorating this year! Thanks Heidi! You can add it to so many things. I’m not normally a lace person, but I love this! Sometimes it just works, huh. Thanks!